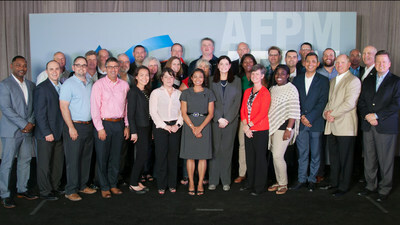 HOUSTON, May 21, 2018 /PRNewswire/ -- LyondellBasell (NYSE: LYB), one of the world's largest plastics, chemicals and refining companies, announces that its Bayport Complex located in Pasadena, Texas, has received the Distinguished Safety Award (DSA) from American Fuel and Petrochemical Manufacturers (AFPM) for exemplary safety performance in 2017. The DSA Award represents the highest achievement in safety and reflects excellence in occupational safety, process safety and occupational health in the domestic refining and petrochemical manufacturing industries. "Safety is a core value for LyondellBasell and we are very proud of the Bayport Complex for this recognition of safety excellence," said Dale Friedrichs, vice president, Health, Safety and Environment. "It is not about measuring the number, it's about knowing our people go home safe at the end of every shift, every day." The LyondellBasell Bayport Complex is one of only three manufacturing sites in the country to receive the prestigious honor this year. The announcement was made at the AFPM National Occupational and Process Safety Conference in San Antonio on May 16. "From the moment you set foot on our site, you will hear our safety message, see it in action and understand our mission," said Stephen Goff, Bayport Complex site manager. "This achievement is the result of our team having great attention to detail and remaining vigilant when it comes to safety." 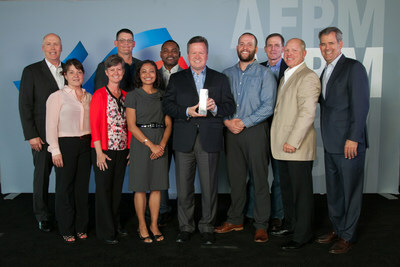 In addition to the Bayport Complex, four other LyondellBasell sites received top safety awards from AFPM. The Elite Gold Safety Award, which recognizes facilities with safety performance in the top one percentile, was presented to the company's Chocolate Bayou facility in Alvin, Texas, as well as its Clinton, Iowa, facility. Additionally, LyondellBasell's Victoria, Texas, and Edison, New Jersey, plants received the Elite Silver Safety Award, which recognizes facilities with safety performance in the top five percent. The AFPM Safety Awards Program is part of a comprehensive safety program developed by AFPM's Safety and Health Committee to promote accident prevention in the petroleum refining and petrochemical manufacturing industries.